So you’ve gone to all the trouble to do the upside down method to ice your cake with buttercream (because we showed you how to do that in THIS blog post) and you put your fondant on your cake (and we showed you how to do that in THIS blog post) and you notice that all that hard work was a waste because the fondant just gave your cake rounded edges once again. What the heck man?! 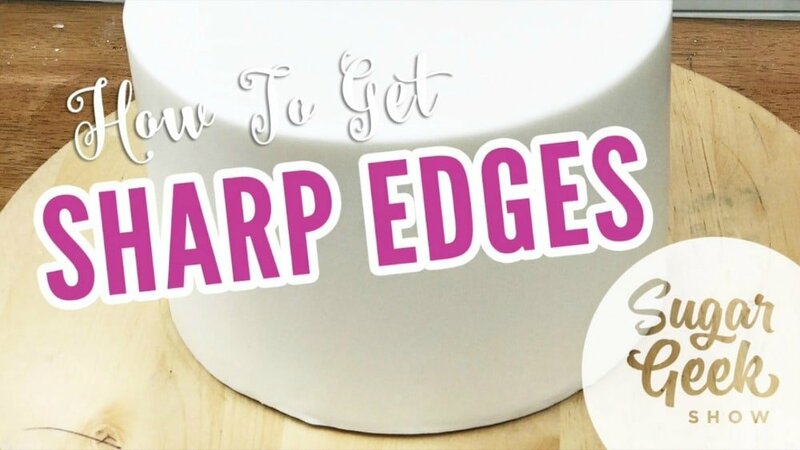 Don’t fret, today’s blog post shows you how to continue the upside down method to now get those sharp edges with your fondant. 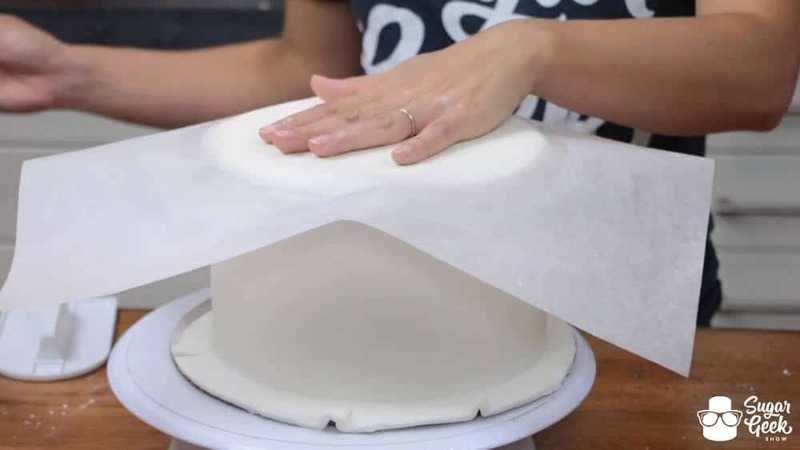 Cover your cake in fondant just as you normally would. 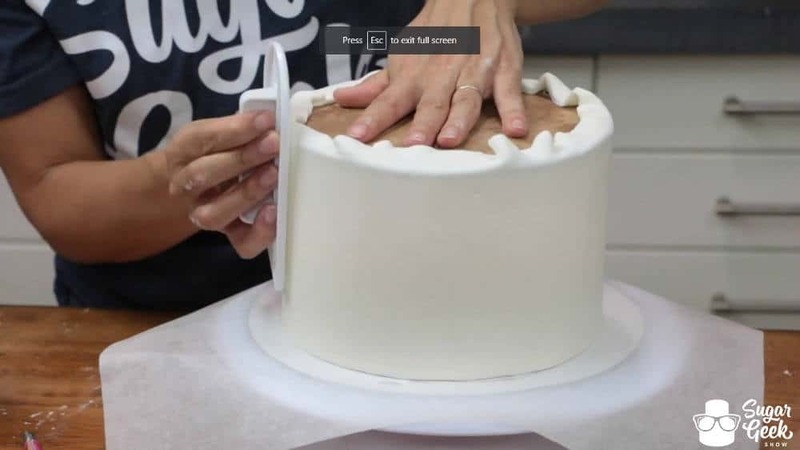 Using an exacto blade, instead of cutting the fondant right to the edge of the cake, cut it about 1″ long. Place a piece of parchment paper on top of your cake. 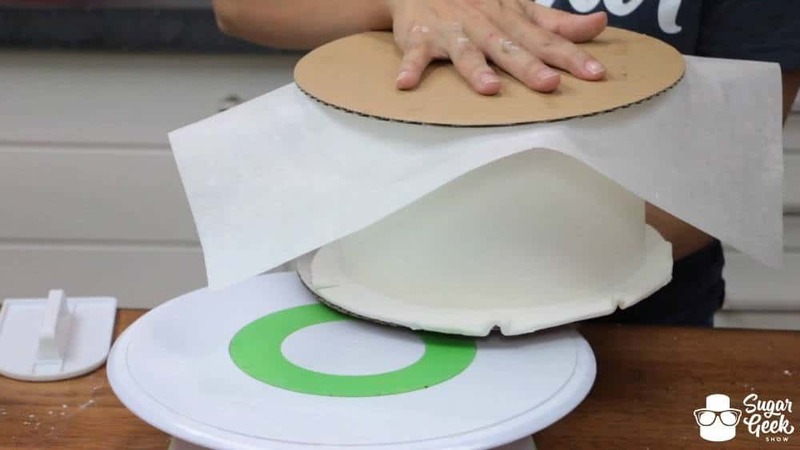 Place a cake board at least a couple inches bigger than your cake on top of the parchment paper. Slide your cake off your turntable being sure to support the top and bottom well. 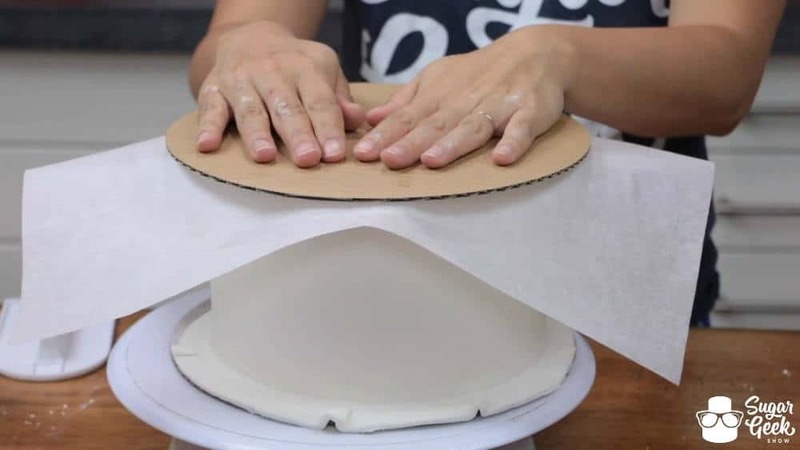 Flip your cake upside down and place it back on your turntable. 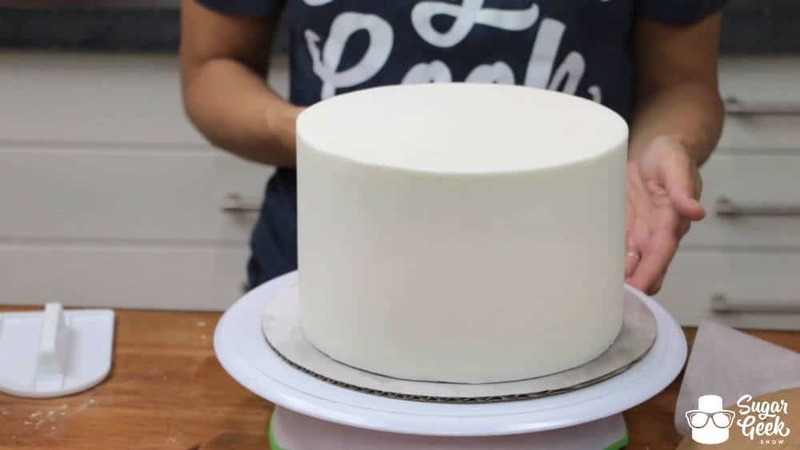 Once again, this should only be done with a chilled cake that contains butter in the cake as well as the buttercream because they both chill nice and firm. If those two things are in place, this will not hurt your cake at all! 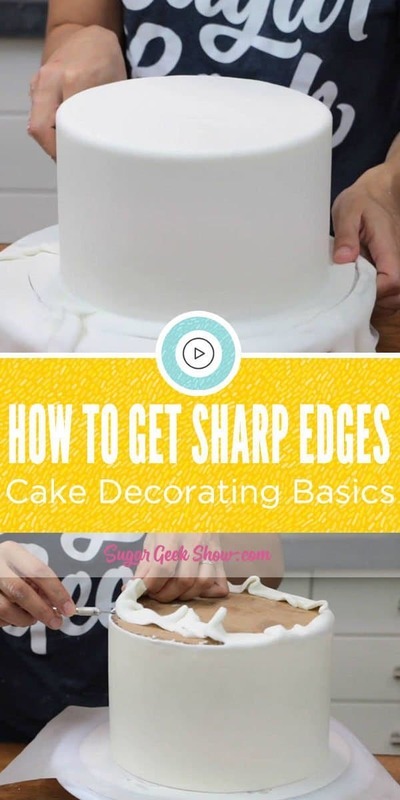 Fold those long edges up over the bottom of your cake for now. 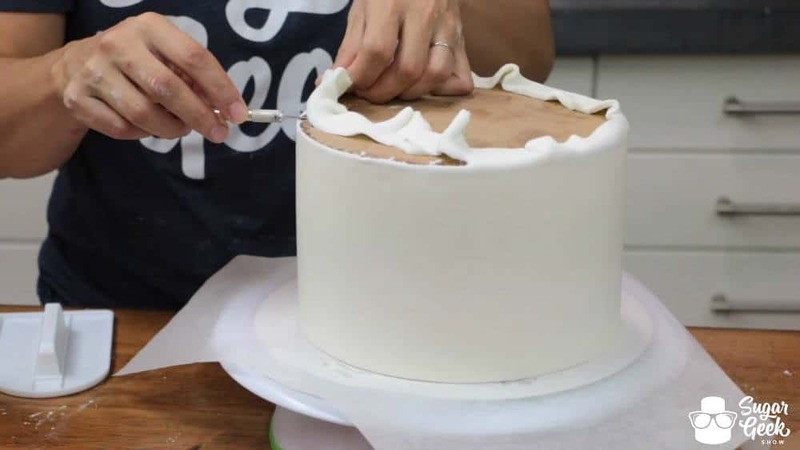 Using your fondant smoother, begin smoothing the top of your fondant down against the board until you no longer see a shadow. You are forming a nice sharp edge against the board. 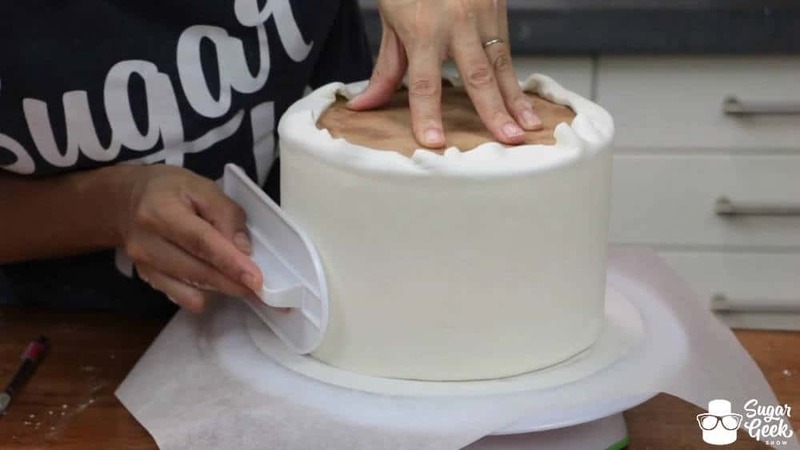 If you notice your fondant starting to sweat a little and it is causing your smoother to stick, dust the cake with a little bit of cornstarch to dry it up so you can continue smoothing without any resistance. 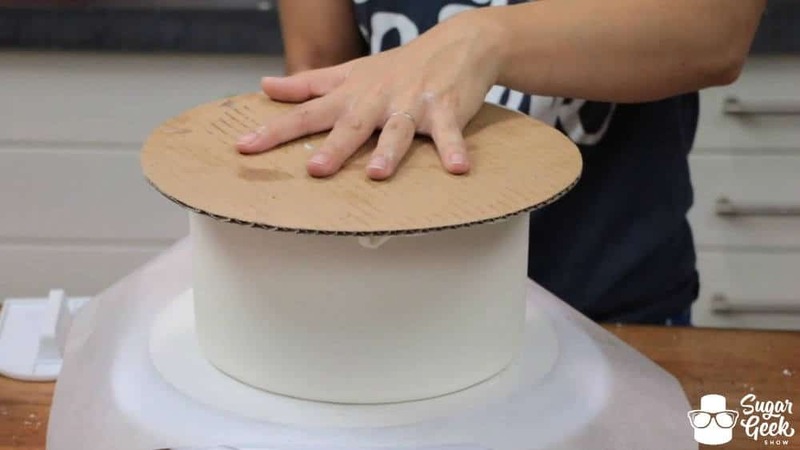 Polish and smooth the bottom edge of your cake being sure to get a nice seal. 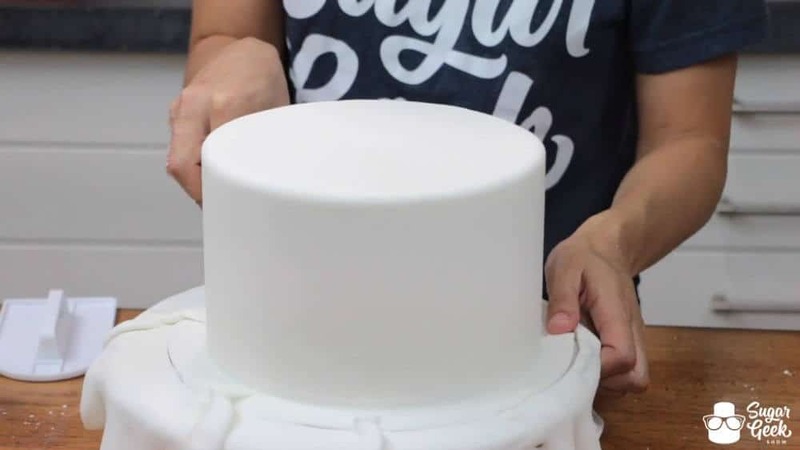 Use an exacto blade to cut off your excess fondant. 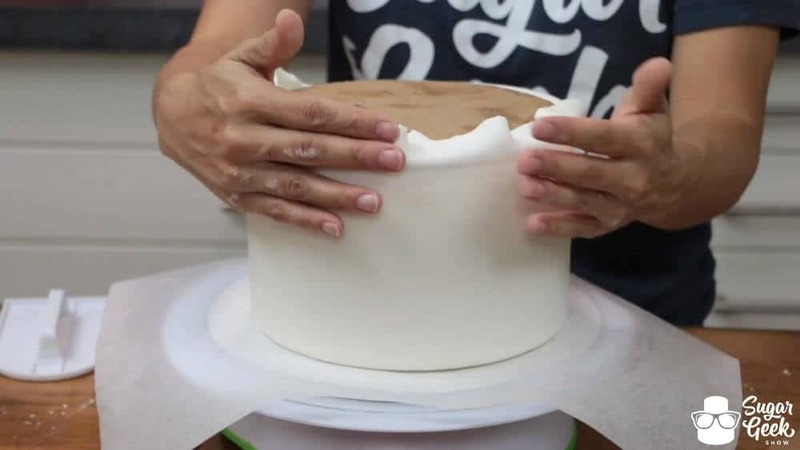 Place another cake board on the bottom of your cake and once again supporting it well, flip your cake back over. Remove the parchment paper and cake board and you will be left with a beautiful, clean sharp cake edge. So fast, so easy, so effective. 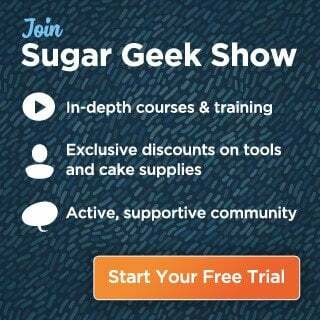 I mentioned before that the upside down method literally changed my life and I really meant it. 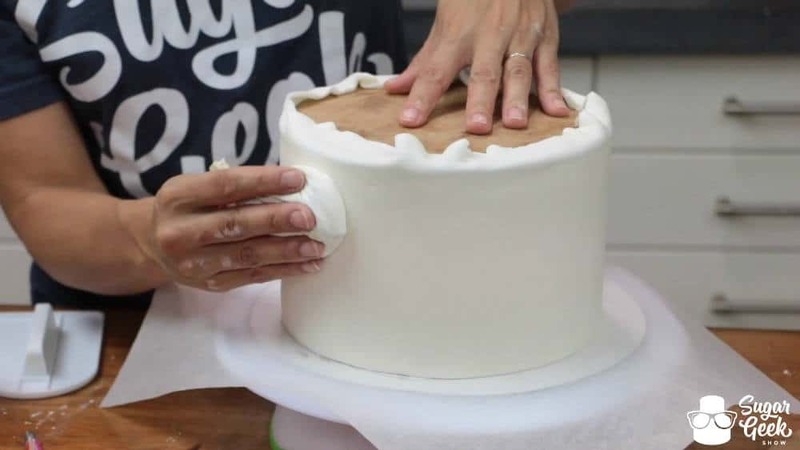 For some, the idea of flipping your cake upside down gives your nightmares but trust us experts when we say, it is totally fine! Use a firm, chilled cake, do it carefully and you genuinely have nothing to lose except that rounded cake edge.